This was my very first attempt at making a shepherd's pie. I have been watching America's Test Kitchen on PBS for about a year and have learned so much from their show, I really trust their findings. 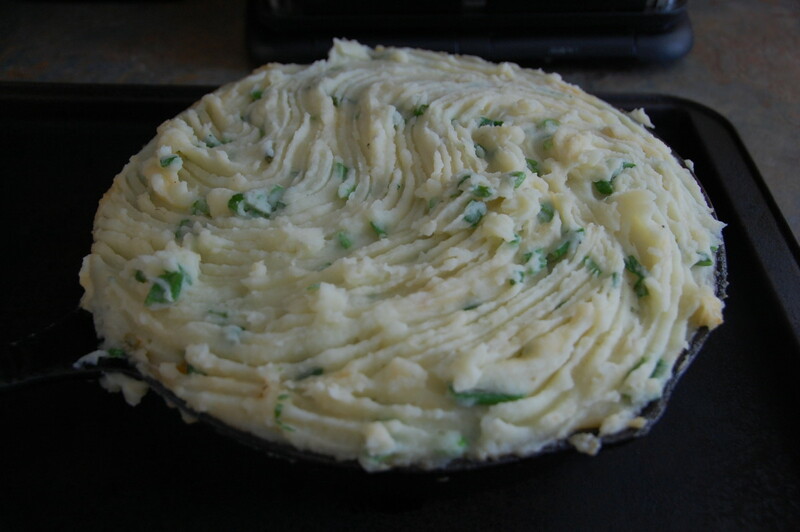 This is my attempt at making their streamlined, easier and faster version of traditional shepherd's pie. 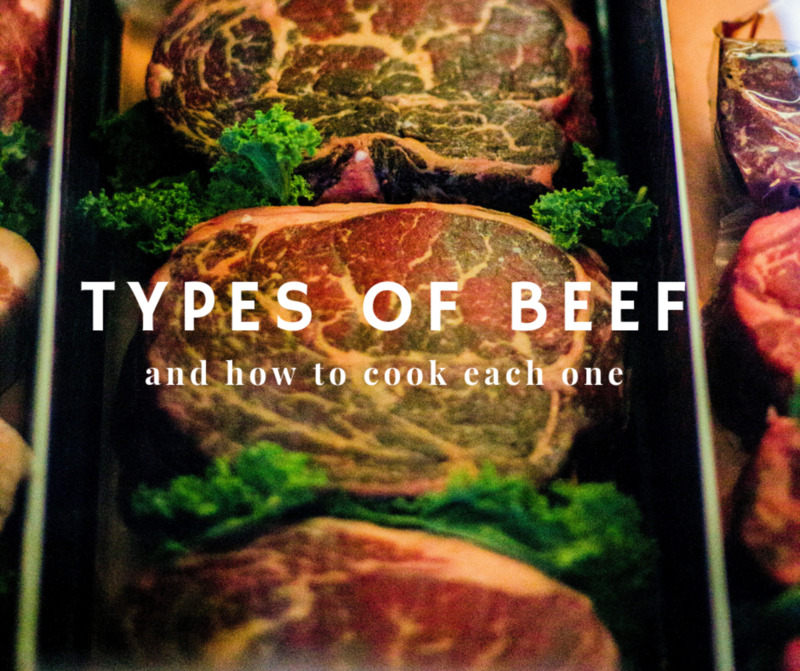 There are a few ingredients that I have substituted with what I had on hand at home. For instance, I did not use scallions or an onion, I just used green onions. The top (green) part of the onion I used in the mashed potatoes. The "onion" part was what I browned with the mushrooms instead of a whole, larger onion. I also use only olive oil in my house, so I replaced the generic vegetable oil with an extra light olive oil. America's Test Kitchen used 2 1/2 pounds of russet potatoes, which I also did this first time. However, that really is a lot of potatoes and they almost did not fit in my 10" pan. I think 2 pounds would be adequate and still cover the pie well. I really hope you enjoy this delicious dish! Use 93% lean ground beef so that the pie is not too greasy. 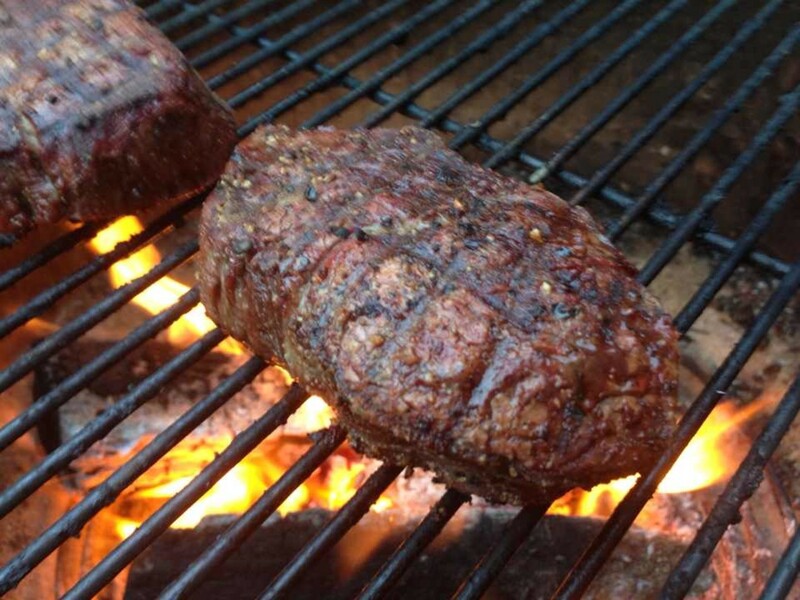 To keep the hamburger from becoming rubbery in the dish, it should be tenderized. This is done by dissolving 1/2 tsp baking soda in 2 Tbsp of water. 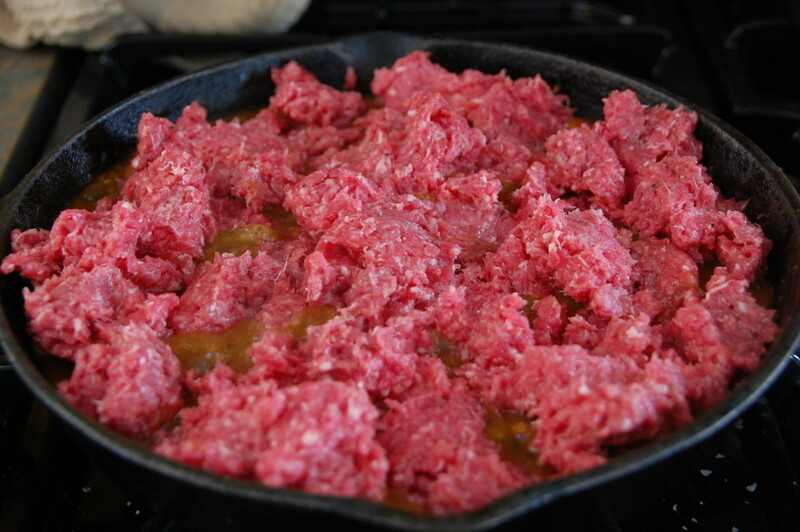 Add this to the ground beef. Add a tsp of salt and a 1/2 of tsp of black pepper to season and let sit for 20 minutes. Wash, peel and cut 2 pounds of russet potatoes into 1 inch cubes. Place cut potatoes into large pan and cover them with water. Fill the pan about an inch above the potatoes. Boil for about 8 minutes. 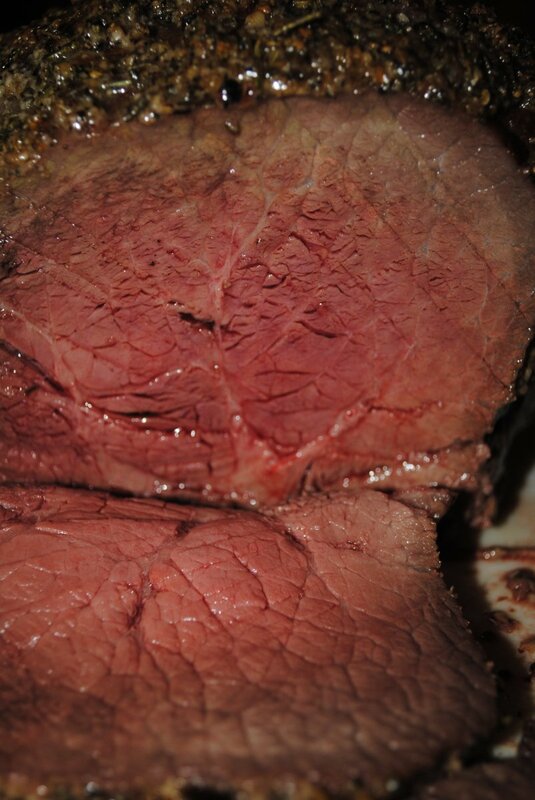 Test for doneness, then drain and put back into pan. 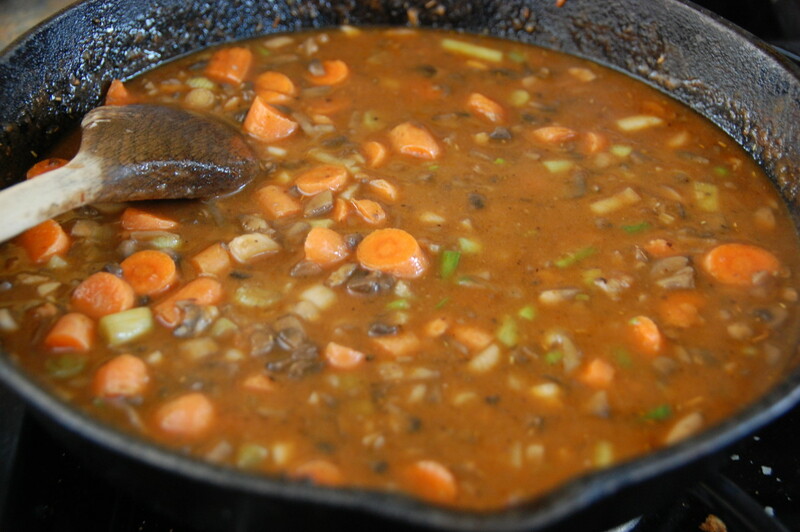 Place back onto the stove and heat for about another minute or so to remove excess moisture. Melt 4 Tbsp of butter and add to potatoes. 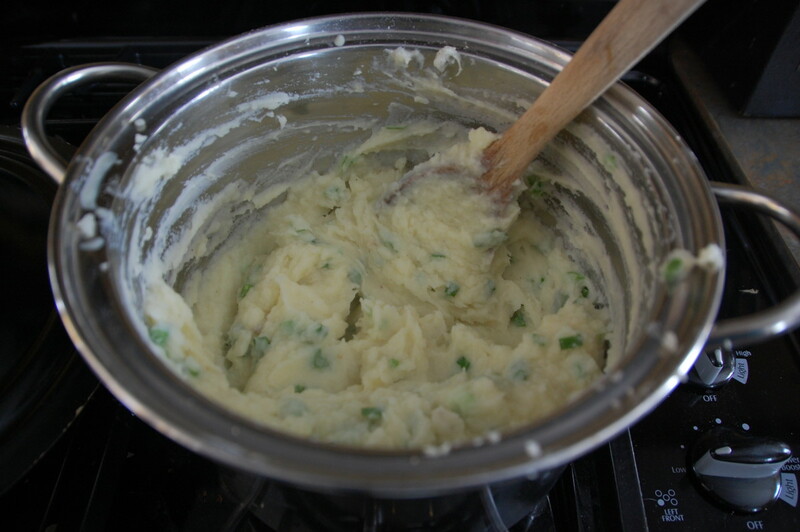 Mix egg yolk and half cup of milk together in separate dish then add to potatoes and mash in. Salt and pepper to taste. Add greens from green onion. Cover and set aside. Brown mushrooms and onions, salt and pepper in olive oil in a 10 inch skillet over medium heat that can also go into the broiler (mine are all cast iron). 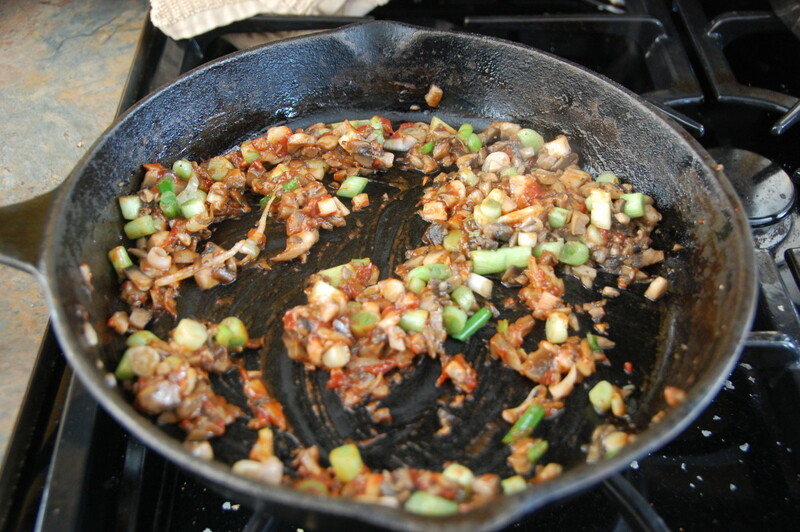 Cook this down about 5-6 minutes, then add 1 Tbsp of tomato paste and minced galic. 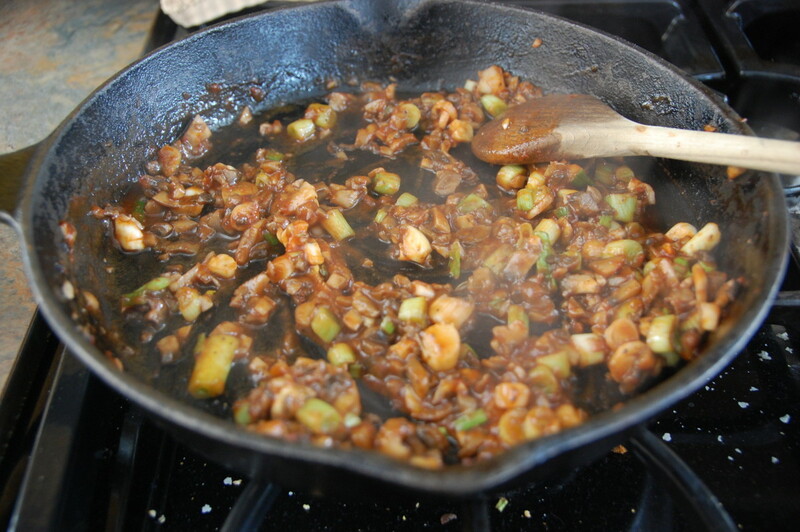 After about 2 minutes, add the wine and scrape the browned bits off the bottom. Cook this about a minute until the wine burns off then add the flour, blend and add beef broth and Worcestershire sauce. Add the carrots, thyme and bay leaf also and bring to a boil. 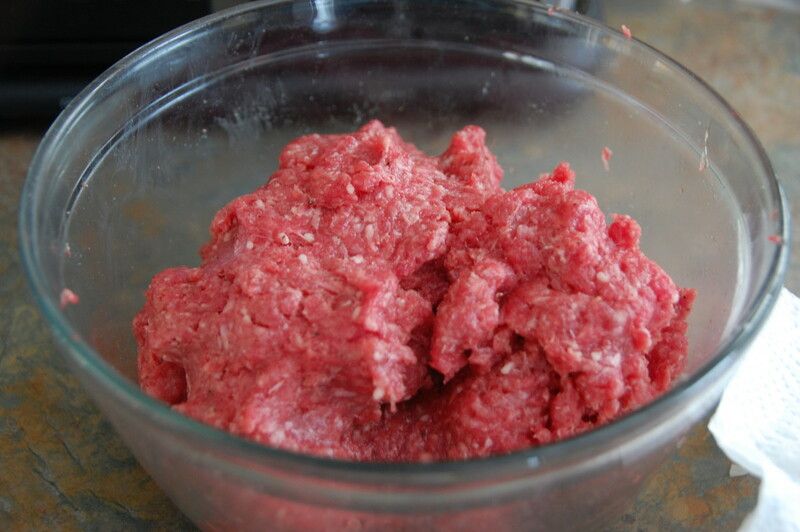 Reduce heat to medium low and add the beef in about two inch chunks. Cover and cook this about 10-12 more minutes, until beef is cooked through, breaking beef apart halfway through cooking. Remove bay leaf. This is when you add the cornstarch (dissolved in 2 tsp of water), however, I forgot this step and it still turned out phenomenal. 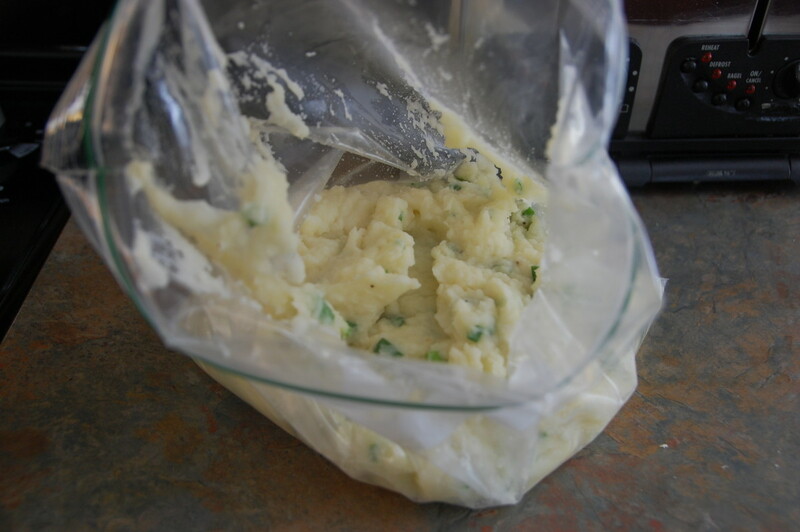 Place the potatoes in a large plastic bag, twist and cut a corner off to make a piping bag. Pipe these onto the pie as evenly as possible and the even them out with a spatula. Run a fork over the potatoes in a curvy pattern to make a really pretty design when it is complete. 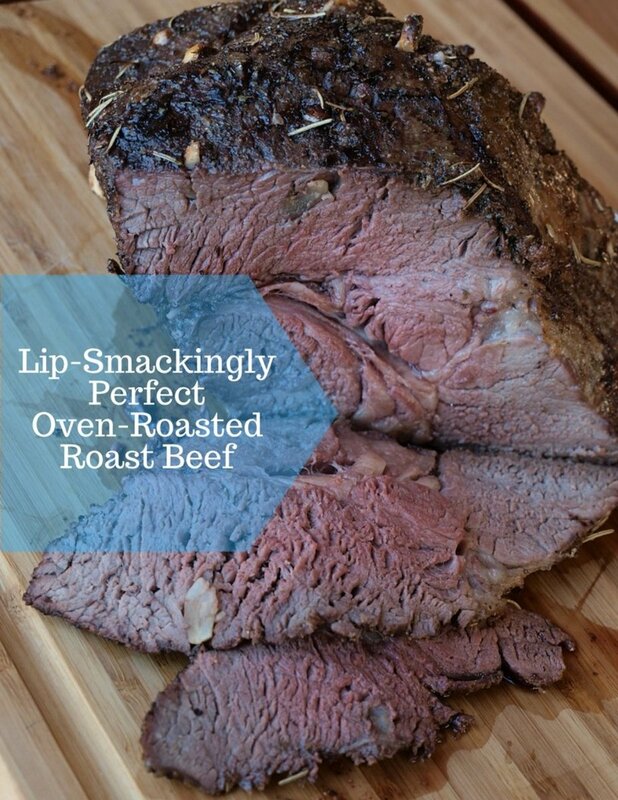 Place under the broiler for about 8-10 minutes. Let it stand for 10 minutes before serving and enjoy and awesome shepherd's pie! 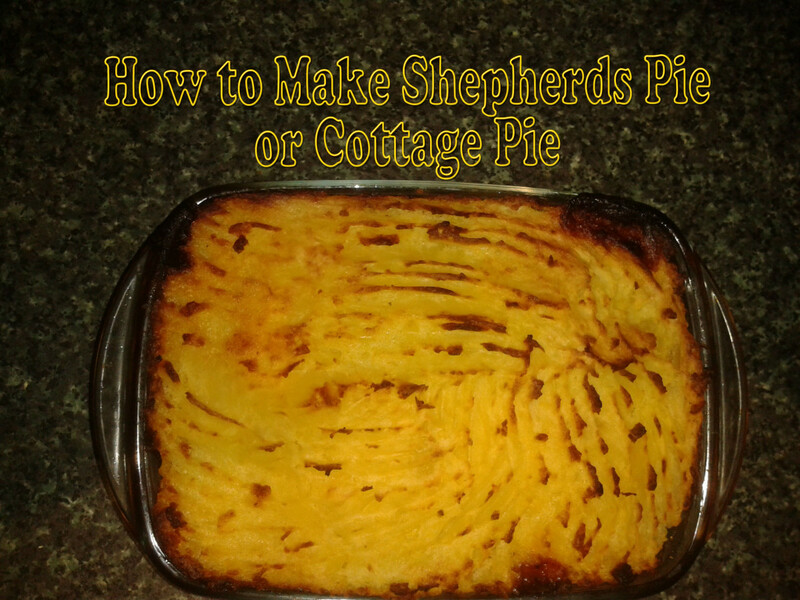 Have you ever made shepherd's pie at home before? I did take the name of this recipe from America's Test Kitchen, and they did call it "Sheperd's Pie". This was my experience using their recipe. Growing up, my mother also used hamburger in her "sheperd's pies" that she made, I am not sure if she has ever cooked lamb. I have not used it before as it is not readily available in stores near me ground up and already packaged. Looks great - not Shepherd's pie though. 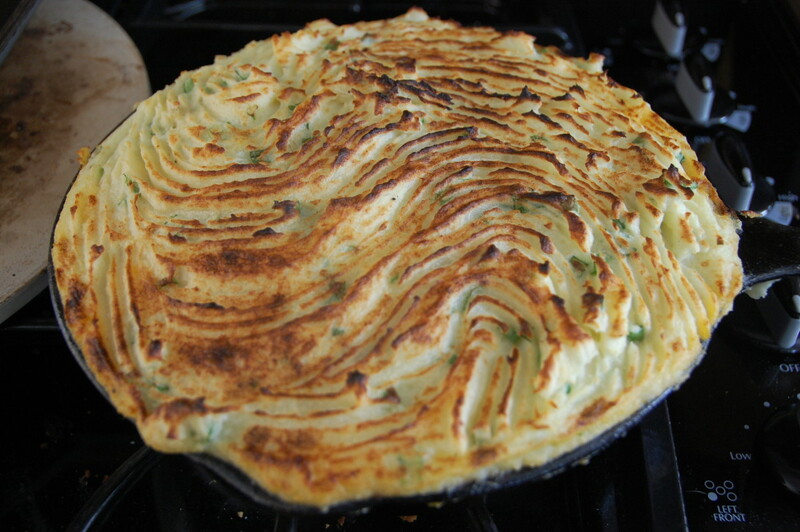 It looks tasty, but this is a cottage pie rather than a shepherd's pie. 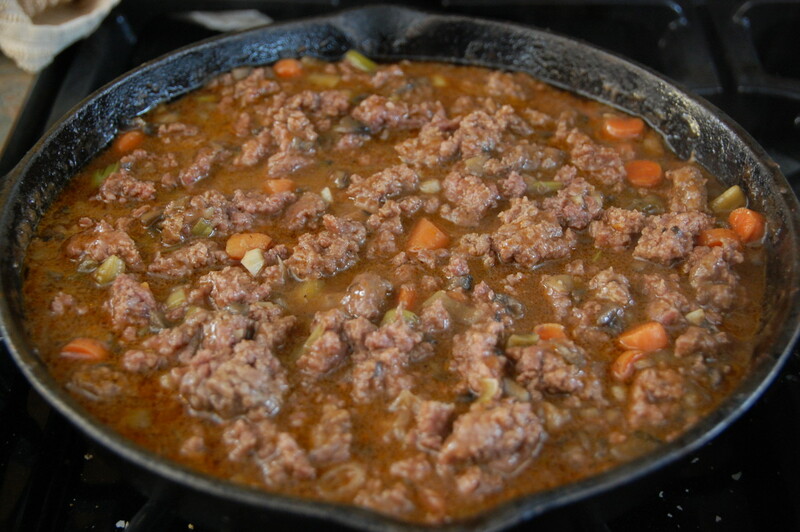 Shepherd's pie always uses lamb mince. The clue is in the name; shepherds tend sheep. I am sorry to hear you didn't enjoy it. I went by America's Test Kitchen's recipe, and I did add additional salt to my own portion. Thought it was a little bland too, but the additional salt per person made it taste good to my husband and me. I know some people don't add much salt to keep it healthier anyway (my parents never add any salt), and then they let each person decide how much to add for their own personal taste. I made this recipe and have to agree with my wife's comment that it was rather bland and tasteless for shepherd's pie. It needed some spicing up. Not that easy to make and so it was a disappointment. glad you enjoyed my Hub and it helped you remember the yolk! Amberld thank you so much for posting this. I watched this as well and remembered everything but the egg yolk I the mashed potatoes till I found this. I tried to get it on Sunday and Monday but only the paid version was on line and I just lost my job. I am a fabulous gourmet cook but I watch this show for technique and ideas. I truly appreciate your time. Thank you again and have a glorious day! I have always been intimidated by shepherd's pie recipes and I think watching the America's Test Kitchen episode where they actually made it helped me out. I thought there were lots of words too, and steps, but watching them make it gave me the confidence to try to I'm very glad I did. 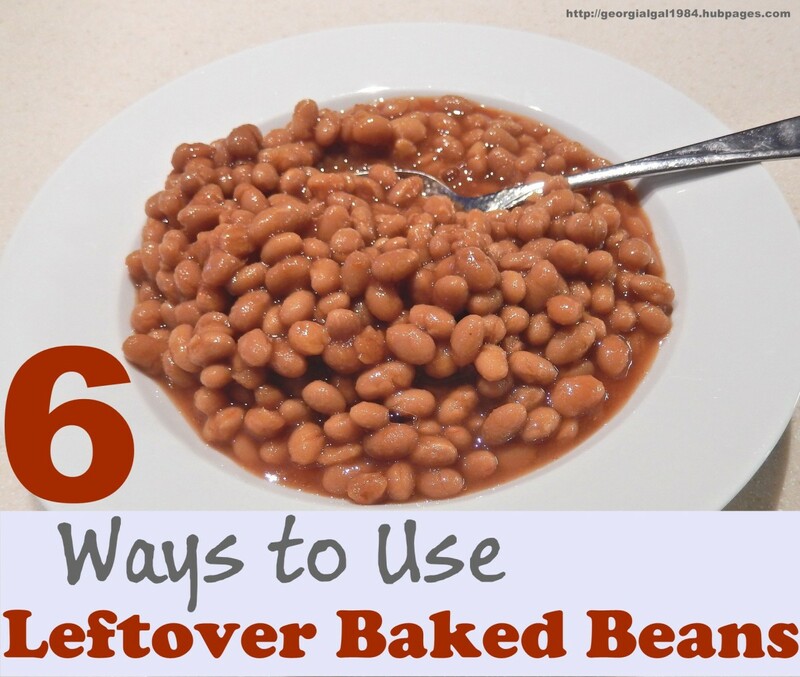 My family loves the flavors in this, too, am glad you enjoyed it and tried it out! I just made this and had two helpings for dinner. Soooo good. I'm guessing it'll taste even better tomorrow night after the flavors have had a time to develop. I made half a recipe and there's plenty, enough for 4 people. I used a cast-iron frying pan. Changes I made: I used 80% lean burger and didn't think there was excessive fat. I substituted cream sherry for the port. Mmmmm. Although I made half a recipe, I used the entire egg yolk in the potatoes. The carrots were a bit firm but not unpleasant. I found I was on my feet from start to putting the pie under the broiler. It wasn't difficult, but there was plenty of prep. Next time I'd make the potatoes a little ahead of time and get everything prepped before starting. There's a lot of words in the recipe. 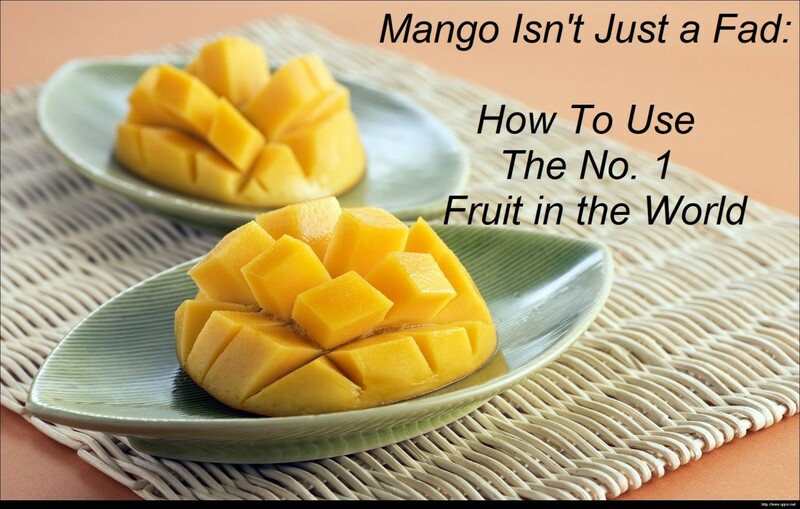 It's actually fairly easy, but it was a little cumbersome working through the ingredients and procedures. But, the bottom line is taste and this is very, very good. I'm gonna have leftovers tomorrow and then freeze the rest. Yes, VG, I am not used to seeing produce called scallions very often in Wisconsin. Actually, I never heard that term growing up. When I watched the episode, I believe they used larger sized onions than what I was used to seeing here and using myself. I incorrectly assumed they were an onion at a later stage (older and larger) than the green onions (very young) I used. I have since learned it is a more regional name for the same thing, and America's Test Kitchen is from Boston. Scallions and green onions are the same thing. It is very good, need to make it again soon, and thank you for checking out my Hub! It looks really beautiful, and would surely taste really filling and delicious! 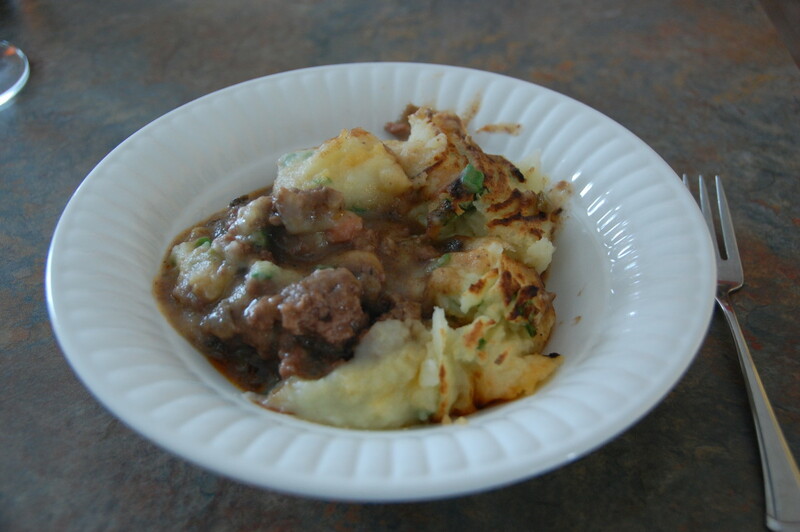 I love shepards pie and ahave been making Mom's basic beef recipe for years. I am now raising rabbits and would love to try any rabbit recipes you might have. I was so impressed with how this turned out, I will definitely be making it again! I hope you enjoy it if you make it, too. Thanks for checking out the recipe. That's a really beautiful pie. I like your adjustments, too. I have never made Shepherd's Pie before, but I'm looking forward to trying your recipe. Boy does this look good on a cold day like we have here today. Pinned for later use. My what a beautiful pie! I have made it a few times and now I'm thinking I should try one soon. Thanks for the recipe idea. I just changed up America's Test Kitchen recipe a little bit, and it is so incredibly good! This was probably the best hamburger I have had in a casserole before and love the tenderizing tip! Voted up and definitely sharing. Yes! I had never heard of that before and it was an amazing tip! Thank you for checking out the recipe, it was completely delicious. Two thumbs up from me! I love how America Test Kitchen does all the work for us, testing recipes every way possible to find the best one. I found the interesting part of this recipe the tenderizing the meat with baking soda. I will give this one a try!